As has unfortunately been demonstrated time and time again, some of the world's greatest cultural heritage sites are critically at risk of destruction. From the Bamiyan Buddhas in Afghanistan to the Namademun Gate in South Korea to countless ancient sites in the massive area flooded by the Three Gorges Dam in China, peoples' actions and the destructive potential of natural elements have caused irreparable harm to some of the most important works that humankind has created. In this series by CyArk, we explore just a few of the most endangered sites in several categories, separated by the general nature of the hazards they face. It is important to remember that these are far from the only examples in these categories, that many of these places face multiple threats, and that critical threats to many other sites are often lurking just around the corner. The remaining pieces of our living history, our worldwide heritage as human beings, is highly vulnerable and at risk. The power of digital preservation of heritage sites such as these is invaluable; not only for site managers seeking to stabilize and conserve the constructions that remain, but in order to make for a greater overall understanding of the achievements of the past cultures that created them. In some of these cases, unfortunately, we need to capture what we can now before it is too late. These five far-flung sites are at severe risk from flooding and/or dambuilding. Located along the stunningly beautiful banks of the upper Tigris River in modern-day Turkey, the city of Hasankeyf has existed for almost 10,000 years. Nine civilizations have ruled here, including the Romans, Byzantines, Ayyubids, Mongols, and the Ottomans. Important monuments are found all over the city, particularly from the Islamic period that began in the 7th century. 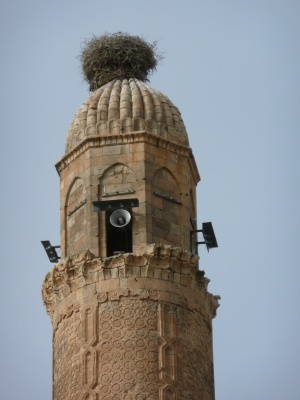 El Rizk mosque, built by Suleiman in the 13th century, has great minarets which tower above a historical landscape that includes ancient tombs, Ottoman-period bridges, and cave churches dating to the first millenium CE. This present-day living Kurdish city, which has survived countless invasions and changes with most of its cultural wealth intact, is now scheduled to be completely submerged by the massive Ilisu Dam project. The dam, which is in advanced planning stages through a consortium of German, Austrian, and Swiss development firms, will cover the entire city center and surrounding environs in 5-6 meters of water, leaving only the very top of the El Rizk minaret above the water line. While the firms are negotiating with the Turkish cultural ministry about relocating some of the monuments, the damage will likely be massive and irreparable. The great city of New Orleans, located 70 miles upriver from the Mississippi Delta, was founded in 1718 by French colonists and taken over by the Spanish in 1763. The Spanish preserved much of the French Colonial character of parts of the city while adding their own distinct stamp to others. In 1801, the French regained control of the Louisiana Territory, and Napoleon sold the territory to the United States two years later. 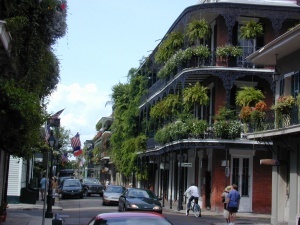 New Orleans is one of the oldest cities in the United States and contains many outstanding examples of architecture from the 18th and 19th centuries, including the campus of Tulane University, the French Quarter, and St. Louis Cathedral. Its culture is a very distinct blend of many different creeds and ethnicities, and is the main center for the regional Creole culture that arose from the Spanish and French colonists. New Orleans is home to countless cultural and architectural treasures, and is one of the most revered cities in the world. The entire city was severely damaged by flooding during hurricanes Katrina and Rita in 2005, with the worst damage befalling low-income residential neighborhoods near breached canal levees. The historic districts sustained some damage as well, and experts forecast that climate change will only make hurricanes worse in the future. The risk is made exponentially higher by the clearing of protective swamp vegetation at the Mississippi's mouth for development, shipping, and shrimp farming; this clears a path for storms to barrel right into the city. As a result, New Orleans is at extreme risk of damage from more hurricanes and floods, while efforts to shore up the canals and levees have been slow in coming and hindered by slow U.S. federal response. While the city's historic districts have been mostly restored, they too remain eminently at risk. Stretching across 60km in the Nile Valley, these ancient Egyptian and Kushite sites date back as far as 1150 BC. It is considered by Egyptologists to have been the heartland of the mighty Nubian Kushite Empire, which conquered the whole of Egypt at one point during the Old Kingdom period. A vast network of building complexes, tombs, pyramids, temples, and palaces are still considered sacred to the local population, and many are unexcavated and unrestored. 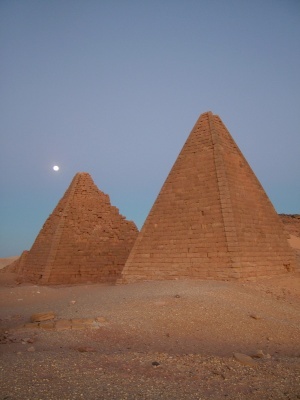 Many of the sites closest to the upper Nile are under threat from a large-scale dam project to be carried out by Sudan in 2009, which will submerge several Kushite complexes, including structures built by the mighty Kushite kings who conquered Egypt. The urgency of the danger these sites face cannot be overstated. It is much like what the Abu Simbel Kushite monumental complex faced in the 1970s from dambuilding on the Upper Nile in Egypt; that crisis ended with an international outcry, forcing the relocation of the monuments to dry ground and resulted in the foundation of UNESCO’s World Heritage Center. Sudan’s government has not been responsive to pressure from international heritage organizations to preserve or relocate these important centerpieces of ancient African culture, and they are likely to be lost forever. This Egyptian site, in the desert about 45km south of Alexandria, was the location of an early Christian holy city including a church, baptistery, basilicas, public buildings, streets, monasteries, houses and workshops. All of this was built over the tomb of the Christian martyr Menas of Alexandria (d. A.D. 296), some 100 years after his death, on the order of Roman Emperor Constantine. Abu Mena (Abu Mina) was an important town and Christian pilgrimage center in Late Antique Egypt, with a spring widely reputed to have great healing powers. Abu Mena was destroyed during the Muslim conquest of the mid-7th century. The site was rediscovered in the early 20th century. Standing remains are minimal, but most major building foundations, such as that of the great basilica and Roman baths, are easily discernable. Abu Mena is one of the most important early Christian holy sites in the world, and its destruction and abandonment in the 7th century left much of its foundational structure intact without new buildings constructed atop it. Many of the subterranean structures are in superb shape and of great interest to archaeologists. Abu Mena is, however, under a high level of threat. A World Bank-sponsored land reclamation program for agricultural development of this desert region has caused a dramatic rise in the water table. The clay substrate soil which Abu Mena rests upon is solid when dry but becomes liquid and unstable with excess water saturation; thus, numerous subterranean cisterns around the city have collapsed and brought down foundations and remaining aboveground architecture with them. Located on the windswept coastal desert plain of Peru and comprising over 20 square kilometers, Chan Chan is the largest pre-Columbian city in South America. Chan Chan was constructed between 850 and 1470 C.E., served as the Chimor Empire's imperial capital, and was home to upwards of 30,000 people. Largely constructed of adobe brick, the city consists of ten rectangular strongholds with a north-facing entrance, high walls, and a complex system of passages leading to numerous chambers. Adding to the impressive construction are the countless intricate carvings adorning the structures. Chan Chan had a large impact on subsequent civilizations around the Andes, including the Incas who eventually subjugated them. The ruins of Chan Chan are severely threatened by erosion, as periodic El Nino events cause heavy flooding and degradation to the earthen adobe brick constructions the site is composed of. These structures, which are harmed equally by rain and exposure to wind, were kept intact during ancient times by the repeated application of stucco to their surfaces; now that the stucco has weathered away from centuries of abandonment they are eroding quickly. Continuous conservation and stabilization work must be conducted in order to keep them from degrading entirely in the harsh, coastal desert environment.